If a carrier wants to acquire more spectrum to meet consumer demand for new services, it can’t thanks to the artificial scarcity created by federal policies that dedicate vast swaths of the most valuable spectrum to broadcast television and likely inefficient government uses. It’s gratifying to see the FCC now confronting the “spectrum crunch,” but waiting for a deal to be brokered on incentive auctions is a luxury carriers don’t have. I think this analysis is correct as far as it goes. But I think it’s worth thinking about the implications in more detail. There’s been a ton of discussion of whether the merger would increase or reduce prices. That’s important, of course, but it’s only part of the story. Wireless connectivity is not a commodity like electric power or iron ore. Consolidation has implications not only for our pocketbooks, but also for consumer choice and innovation. Consider the handset market. Over the last few years, mobile platform vendors like Apple and Google have been fighting with wireless companies like Verizon and AT&T for control over the user experience. Verizon apparently refused to carry the original iPhone because Steve Jobs demanded too much creative control. Google has taken a more conciliatory stance toward the carriers, allowing them to customize the Android operating system for their own customers. Still, the introduction of Android represented a dramatic shift of power from Verizon to Google; Verizon’s willingness to take this step was almost certainly a reaction to AT&T’s success with the iPhone. The long-run balance of power between the software industry and the wireless industry depends a lot on their respective concentration. Generally speaking, the more concentrated industry will be able to dictate terms to the less-concentrated one. The existence of T-Mobile, Verizon, and Sprint gives Apple leverage in its negotiations with AT&T, just as the existence of Google, Microsoft, and Palm give AT&T leverage against Apple. Take T-Mobile out of equation and power shifts from Silicon Valley to the carriers. Personally, I’d rather have Apple and Google in charge than AT&T and Verizon. And wireless carrier competition is particularly important for small hardware and software firms trying to break into the wireless market. Large, bureaucratic companies tend to resist disruptive technologies. The fewer wireless carriers there are, the harder time the inventor of the next iPhone or Kindle will have finding a partner willing to carry it. It’s not a coincidence that T-Mobile, the smallest of the national carriers, also has a reputation for running the most open network. Competition offers other non-price benefits too. Chris Soghoian points out that T-Mobile currently offers industry-leaing privacy protections for its customers. After the merger, that option is likely to go away. The larger carriers also have a long history of crippling various features of mobile phones that they believe will harm their business models. The existence of smaller, more accommodating firms like T-Mobile provides an important check on these practices. Fine, I hear you say, but shouldn’t we be minimizing government interference with the free market? We absolutely should. But we have to keep the big picture in mind as we think about what that means. Consider the 1984 breakup of AT&T. In some sense, this was government interference in the marketplace. But in the larger context of federal telecom policy, it was clearly an effort to undo some of the damage done by earlier government policies. After decades of pro-monopoly telecom regulation, AT&T had become a de facto creature of the state, enjoying outsized profits and control over their customers thanks to government regulation. Breaking the company up was a way of reducing this state-conferred power and getting us closer to the state we would have reached in a competitive market. Similarly, in 2004 Cato published a paper by Lawrence J. White advocating government regulation of Fannie Mae and Freddie Mac. These were nominally private companies, but White recognized that their outsized profitability flowed from privileges that had been conferred on them by the government. Once again, the limited government position involved targeted regulation of private parties to prevent them from further exploiting their government-conferred privileges. A similar principle seems to apply here. The Big Four wireless carriers are not monopolies or government-sponsored entities, but like Ma Bell they enjoy enhanced profits and power thanks to government-created barriers to entry. And it seems likely that their profits and power would be magnified by further consolidation. Blocking the merger, then, might be less a matter of the government interfering with the free market—which it has been doing constantly since 1926 anyway—as trying to ensure its ongoing interference with the free market doesn’t have larger anticompetitive effects than necessary. In other words, once the government has created a four-member oligopoly by force of law, it has an extra responsibility to prevent collusion among its members. Does that mean the FCC should block the merger? I’m not sure. Maybe wireless networks are so expensive to build that the market just can’t support more than three of them no matter how much spectrum is available. It’s certainly possible that the merged AT&T-Mobile will enjoy lower costs thanks to economies of scale, and that competition with Verizon and Sprint will force them to pass those savings along to consumers. But I’m skeptical. And even if post-merger prices would decline, it’s not clear that these savings are worth losing the non-price advantages of competition. The Clinton-era FCC reportedly had a rule prohibiting any single cellular firm from controlling more than a third of the available spectrum. 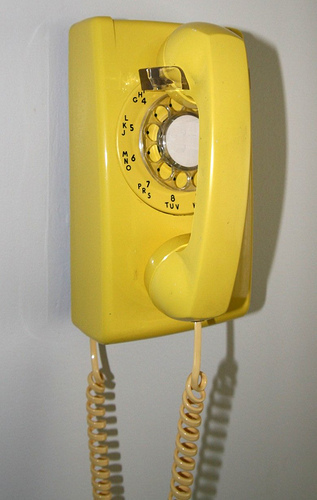 The rule was dropped by the Bush FCC, but maybe it’s time to bring it (or maybe even a more stringent version) back. One advantage of this rule is that it’s clear and objective, with limited potential for favoritism. Another advantage is that it doesn’t involve the government directly second-guessing the outcome of the market process. If Jerry and I are wrong to think the industry is primarily constrained by spectrum, then the firms could divest enough spectrum to get under the cap before completing the merger. That would allow them to realize whatever economies of scale might exist on the network-building side while ensuring that there’s enough spectrum available for other firms wanting to compete with them. Update: Jim Harper points out that the Cato paper’s first recommendation was full privatization of Fannie and Freddie, and that government regulation was presented as a fallback position. He’s absolutely right, and I should have been more clear about that. But I think this underscores my point. My first choice would be comprehensive spectrum reform that would put the majority of the electromagnetic spectrum under a flexible-use property regime. Then there’d be plenty of spectrum available to firms that wanted to enter the wireless market and no need for government review of wireless mergers. But that isn’t the world we live in, and so we have to think about second-best policies. And as with Fannie and Freddie, I think that might mean a certain amount of regulation. Those regulations should be as narrowly targeted as possible on mitigating the problems with the broader regulatory structure—in this case, the anti-competitive effects of artificial spectrum scarcity. Well, there’s still Sprint as an alternative to Verizon or AT & T/T-Mobile. Maybe they’ll step up their game (and improve their customer service experience). The obvious long run solution would be just to allow the wireless carriers to buy off more spectrum, assuming you can overcome the television networks’ intransigence on that front. Freedom is the big picture, Tim. I agree! Not sure how that’s relevant to my argument. Government policies that limit me to three wireless choices restrict my freedom more than policies that limit me to four options. Government policies aren’t the proximate actor limiting your choices. It’s market evolution (however warped by past and ongoing government action). Because you’re skeptical of where that is going, you’re talking about invoking government power to limit the freedom of others yet more. I find your analysis interesting, and flawed in many ways, but primarily it’s got a big dose of fatal conceit—the idea you or any other band of smart people should dictate to others because you know better how this is all supposed to come out. I for one am going to start driving on the left-hand side of the road. It’s market evolution (however warped by past and ongoing government action). Because you’re skeptical of where that is going, you’re talking about invoking government power to limit the freedom of others yet more. OK, but how do I tell whether a particular economic outcome is the result of “market evolution” or “government action.” My other examples (Fannie, Freddie, and Ma Bell) are also examples of “market evolution warped by past and ongoing government action.” Was the DoJ wrong to break up Ma Bell? Was White wrong to call for regulating the GSEs? It can’t be the case that libertarianism requires giving firms unfettered freedom to enjoy the spoils of their rent-seeking. If you’re arguing for freedom, you don’t need to tell whether outcomes are the result of market evolution or government action. You deplore the government warping and rent-seeking all around you, and you fight to prevent more of it happening. You only need to know this stuff if you’re—what—managing markets to where they might have gotten absent government intervention, I guess? As you demonstrate above, that’s an intellectual feast, but it’s impossible to actually do. It’s also the perpetuation of government control, and market-warping, and rent-seeking. Yes, the DoJ was wrong to break up Ma Bell. Simply withdrawing government advantage was that better way forward. White was wrong to suggest regulating the GSEs as a second-best option. (It distracted you from the goal of his paper, didn’t it?) And you are wrong to cite him as authority for the proposition that freedom is enhanced when government subsidy and government regulation are paired. Wouldn’t the correct action be to break down those political barriers artificially inflating their profits? We argue about competition and quality of service and driving towards the best. However, the best is defined by the individuals in the market. The best may be the cheapest to some, the fastest to others, or the most reliable to still others. AT&T should be able to expand their coverage by this merger making their QoS much better. Who within the DoJ is to decide if this is “better” or “worse” when we have 100 million different opinions of what is the “best”? Nice piece, Tim. Jim, if you’re arguing for freedom, it seems like the hardest market structure for a government to “regulate” will be a highly competitive ecosystem with dispersed providers at the network layer and even more distributed innovation taking place at higher applications and content layers… whereas the easiest thing to regulate will be a duopolistic or monopolistic market with tightly integrated content providers. Do you not think that it will be simpler for regulators to find and cajole and potentially be captured by a small number of dominant access providers? The government isn’t a monolithic entity; different branches and agencies take different approaches to competition and the free flow of information; some of these approaches and policy levers may be helpful to the cause of freedom. As long as the government is going to have some kind of policy regarding critical infrastructure such as the electromagnetic spectrum, why not try to figure out what the right policy levers might be? Great Update! I cringed earlier in the piece at all the top-down tinkering without a mention of the actual barriers to competition, but as you say, those are “second-best” solutions. The carriers have many people convinced that physics dictates antiquated radio technology, but this is self-serving nonsense. Radio technology has advanced in the last several decades, just as it did in the proceeding decades. We now have multiple deployed systems in which multiple parties and devices effectively share spectrum. New applications resulting from “the majority of the electromagnetic spectrum under a flexible-use property regime” would see the state of the art advance even more quickly. Confusion reigns not only in the engineering realm, however. Many people still speak as though the telecom market is in some sense “free”. As you note, it hasn’t been, approximately since its beginning. When telecom executives speak, we shouldn’t listen as we might to Steve Jobs or John Mackey, i.e. innovators who have succeeded by giving consumers what they want. The only way that a telco/cableco/broadcaster/etc ever increases returns to capital, is by decreasing consumer choice. Period. Every time such a company has ever had a good quarter, it’s because it has successfully screwed its customers down a little bit tighter. There are occasional hiccups, such as for several years after the 1996 law, but the direction doesn’t change. We must keep this in mind as we listen to the many lobbyists and other mouthpieces they pay to constantly lie to lawmakers and their constituents. It doesn’t have to be this way. It is entirely conceivable that businesses could profitably provide wired and/or wireless bandwidth to consumers in every part of the USA. This need not require public support, public regulation, or public mandate. Such businesses, however, would never be descendants of Ma Bell. That ain’t how she rolls. We’ve suffered from this fundamental misunderstanding of telecom for a century now. Free the spectrum and the market will follow. I understand your pessimism about “the world we live in” and how that motivates second-best top-down tinkering, but that way of thinking concentrates too much on regulators and incumbents. I think that in the very near future a really thin wedge of creative providers in a somewhat small part of absolutely free spectrum could demonstrate to consumers and lawmakers just how much better we could have it. After that, no amount of lobbying and bribery will salvage the bankrupt telecom business model. Where do you get the idea that market structure is a bulwark against regulatory capture? Any evidence for it? It’s not intuitive to me. As a counter-example, I think of the niche, minority-crop growers who have to pay into the USDA’s marketing and promotion programs which support majority crops. Nothing about diversity in agriculture stops big growers from using regulation to their advantage. “Policy levers” is a good, and revealing term. A rigid bar pivots on a fixed point to transmit force. A lever doesn’t transmit freedom. Note that AT&T plans to accomplish this despite the acquisition target having lower ARPU & margins than the parent: AT&T is quite explicit about this. The average monthly payout for a T-Mobile data plan is $12.80, while AT&T pulls in an average of $17.50 for its data plans. One goal of the merger is to “increase T-Mobile smartphone penetration and data ARPUs,” in part through adopting AT&T’s own tiered data plans. … T-Mobile’s margins also need to be improved, too, something associated more with being a “premium” provider and not a “value” provider. Right now, T-Mobile makes 29.2 percent profit margins, which sounds good until you realize that AT&T makes 40.7 percent. We can have lots of debates about what the rules ought to be that structure the use of wireless spectrum, but I think it’s hard to deny that AT&T believes the merger to have value primarily through its effect of taking out a major competitor, allowing them more market power. This news is disappointing to everyone who thought that AT&T was a charity. That response seems to deliberately miss the point. 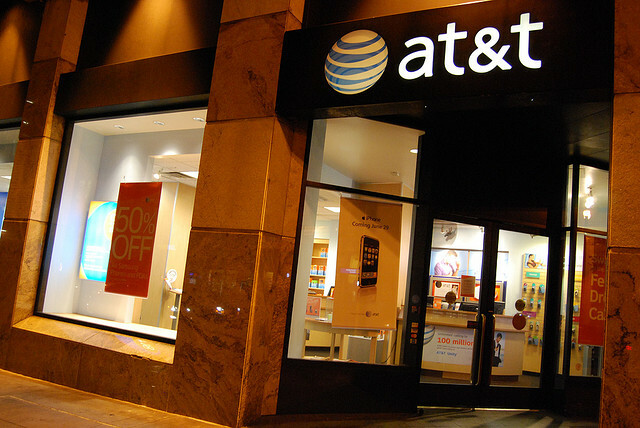 There are different ways that the merger could help AT&T’s search of profits, and that some of them are better for consumers than others (oversimplifying vastly: merging truly redudant towers/capacity and thus lowering supply costs good; acquiring greater pricing-power through eating a competitor–and the only other GSM competitor at that–bad). It appears that AT&T believes that the not-good-for-consumers mechanisms will be strongly at work–indeed, will dominate, insofar as the bottom line will be one of higher prices, not merely profits (which could reflect merely lowered costs), and is signaling this to the financial sector. How else do you interpret the belief that they will be able to raise ARPU & margins by aquiring a huge new subscriber base which is currently producing lower ARPU & margins? I was being a bit glib, I suppose. But, really, so what? It’s entirely a part of market mechanisms that a company will try to seek maximum revenue and margins, using higher prices if possible. It’s not an indictment of the proposed merger to find that. That’s why they want to merge! Our job is to figure out what might make the maintenance of higher prices possible. I think most people agree that scarcity in spectrum is the barrier to entry that would allow AT&T to maintain higher prices, revenues, and margins. In this post, Tim has pondered curtailing the freedom of AT&T, T-Mobile, and their owners in order to forestall this outcome. The better approach, I think, is to free more spectrum so that more market entrants can attack this large enterprise. They would do so by producing more and better directly competitive services at cheaper prices, and by devising substitutes for traditional mobile telecommunications. I’d like to see where things go if we can keep government regulation from blocking avenues to the future. I disagree with the intellects and economists who want to pick through the details of the merger, shaping it according to their visions for how society is supposed to run.